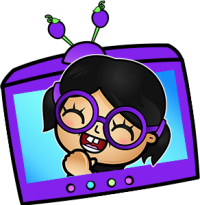 Hang out with Bel and the little uglies live on twitch! We play nintendo switch games including Splatoon 2, Minecraft, Mario Kart and Stardew Valley. Be sure to follow to be notified when we go live. Click here to blast off to Planet Grape! Schedule is pretty random right now, most of my streams start between 6/7PM PST. Be sure to follow me or join our discord to be notified when i’m going live..
Be sure to follow me on twitch first then add me to your friends on nintendo switch and xbox! Have a creepy, unexplained or funny tale to tell? Send it my way!